Last summer my wife and I toured several National Parks in the Rocky Mountains. Our companion was a long-time family friend, Janet. She now lives in Oregon but grew up in the small town of San Andreas in the western foothills of the Sierra Nevada Mountains. Jan and her sister own the house in San Andreas they inherited from their parents. Jan’s father was a ranger, over a span of forty years, for the department of forests and parks of the state government of California. On many occasions, growing up, Jan and her sister and their mother were by themselves in their big house while their father was away battling forest fires. The experience had some resemblance to being a family in wartime. Jan’s father was away fighting a powerful, mysterious enemy, and there was no certainty that he would return. How disturbing, then, for Jan to get a particular e-mail while she was traveling with us in the Rocky Mountains. From the caretaker, who was at the old family house in San Andreas, Jan received the news that a large wildfire which had begun in the southern Sierras was making its way north and seemed on path to engulf San Andreas. 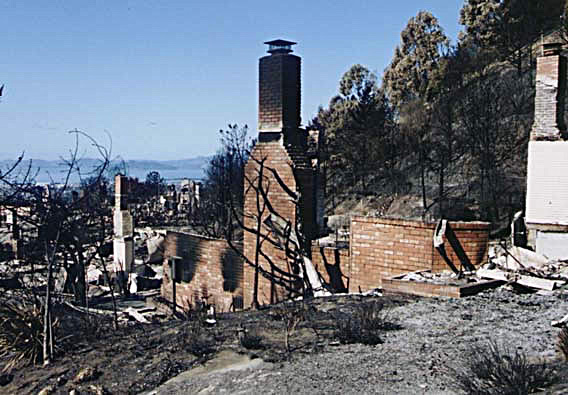 Jan had to live with that possibility as she received more reports from the caretaker over the next several days, until, finally, the news came that the fire was turning eastward and would miss Jan’s family home by a few miles even while it was destroying many other homes in the area. To anyone who grows up in California, fires, like earthquakes, are always waiting just offstage. Sometimes you face them directly. Sometimes you just notice them in the corner of your eye. But they are always in your consciousness. 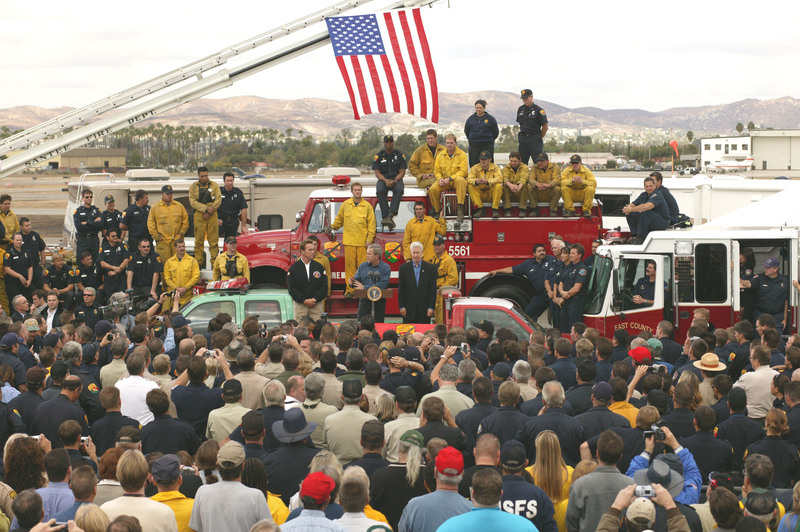 I am an example of the large category of Californian who has been affected by fires at a distance. My earliest memories of large fires go back to around age six, when I was standing on the front porch of my grandparents’ house in the Berkeley Hills. The views looking west from the Berkeley Hills are amazing and famous. In front of you, far away yet seeming very near, are the flatlands of Oakland, Berkeley, Albany, and El Cerrito. Then, looking further, you see San Francisco Bay and the cities on the far shore, ranging from San Mateo in the south all the way north to San Rafael and Vallejo in the north, with the several bridges that cross the Bay and then the Golden Gate Bridge that beckons you toward the Pacific Ocean beyond. One evening, at sunset, I was taking in this view from my grandparents’ house, as I did often even at a young age, when I noticed, for the first time, that some five large fires were burning down in the flatlands of the East Bay near the water along the shore between Berkeley and Albany. I asked my grandfather why the fires were there and he explained that they were started several nights a week at the city dump to get rid of all the junk tossed there. Several decades later this method of trash disposal was discontinued because of the air pollution it caused. But throughout my childhood the fires appeared often and provided me with a great source of fascination. In the years that followed, I learned that the hills of the East Bay Area were themselves potential sources of major fires. 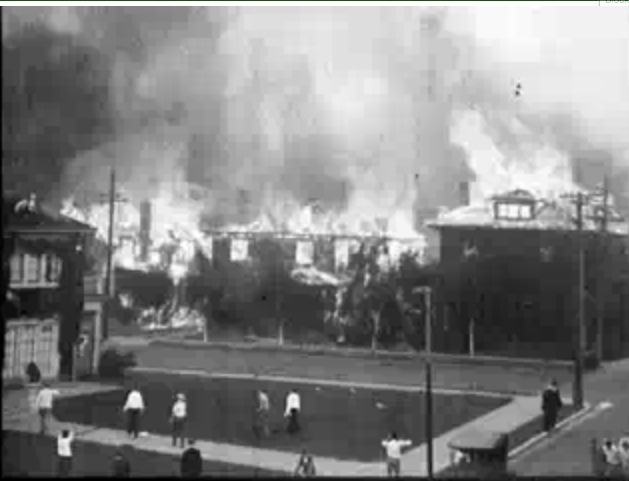 Every summer, when the sun parched the brown grass that was everywhere, and the Eucalyptus trees became so dry that they crackled, I overheard numerous discussions about fire danger and read in the newspapers about conflagrations from the past, like the great fire that destroyed many parts of Berkeley in 1923. Later, by which time I was living outside of California, I watched the television news reports of the huge fire that swept through the hills of Oakland in 1991; and, in the 1970s, on a visit during an especially dry summer, saw that many of the Eucalyptus forests in the hills of the East Bay had been chopped down on the advice of a professor of forestry at UC Berkeley who warned that they were a tinderbox and could destroy parts of several cities if ignited by the sun or a careless cigarette smoker. The fact that I encountered all of these instances of fire at a distance always left me with a slight feeling of guilt. My house was not burning, and I was not one of the brave combatants who went and encountered the fires directly, even though I sometimes bragged to friends that I knew more about smoke and flame than most people because I had grown up in a place where fires were frequent. The flaw in this presentation would have been apparent to anyone who grew up in the Bay Area. You could tell that the reporter was standing on the docks in San Francisco and the camera was foreshortening the background view of Oakland. 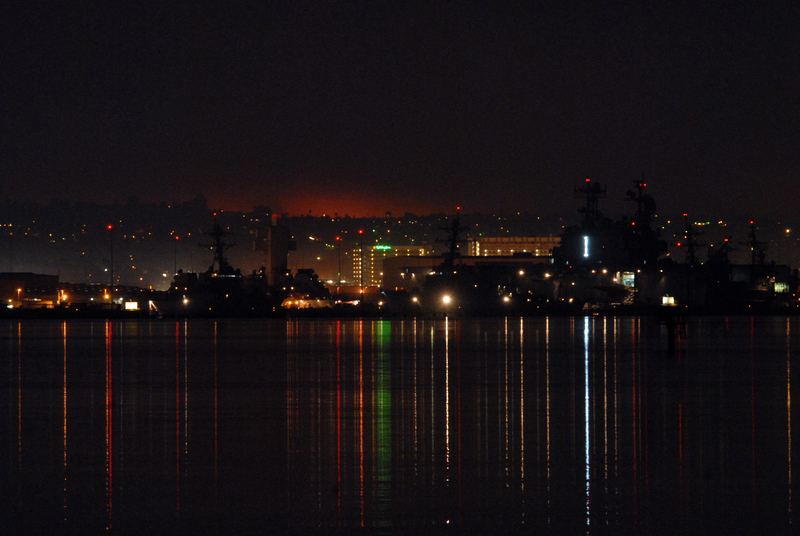 There is about five miles of bay water between the docks of San Francisco and the shoreline of Oakland. You would have thought that the TV reporter was about to be swept away by the flames. What a tough guy. 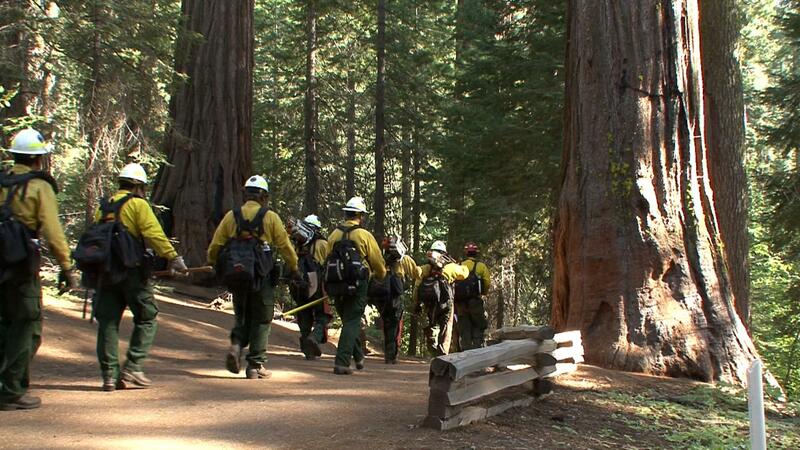 National Park Service fire crew enters the Tuolumne Grove of Giant Sequoias to establish defensible space protecting the big trees, 2013. In any case, for millions of Californians, fire is very real: not only an aspect of imagination and a part of everyone’s sense of identity, but also a physical fact. As I write this post, large wildfires are burning just north of Los Angeles and in the Big Sur area of Monterey County in Central California. Last summer there were major fires, as in the summers before then. 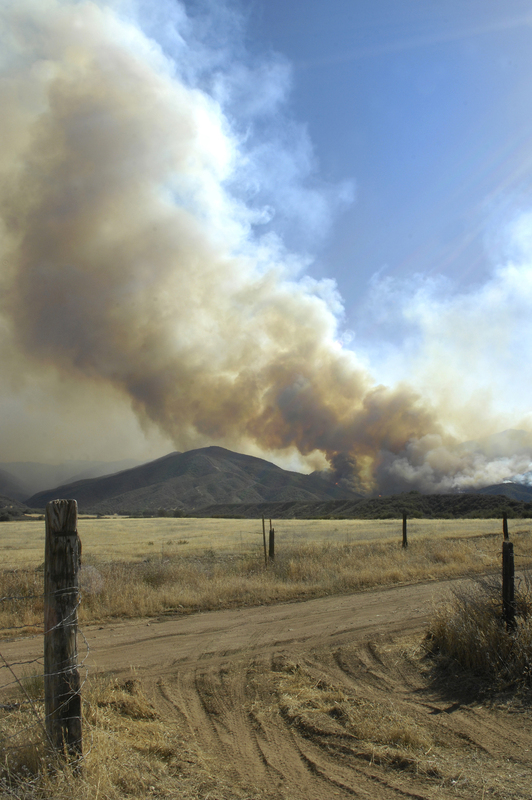 Given California’s climate and vegetation, fires have always been part of the state’s history, and they are likely to re-occur even more frequently with global warming. 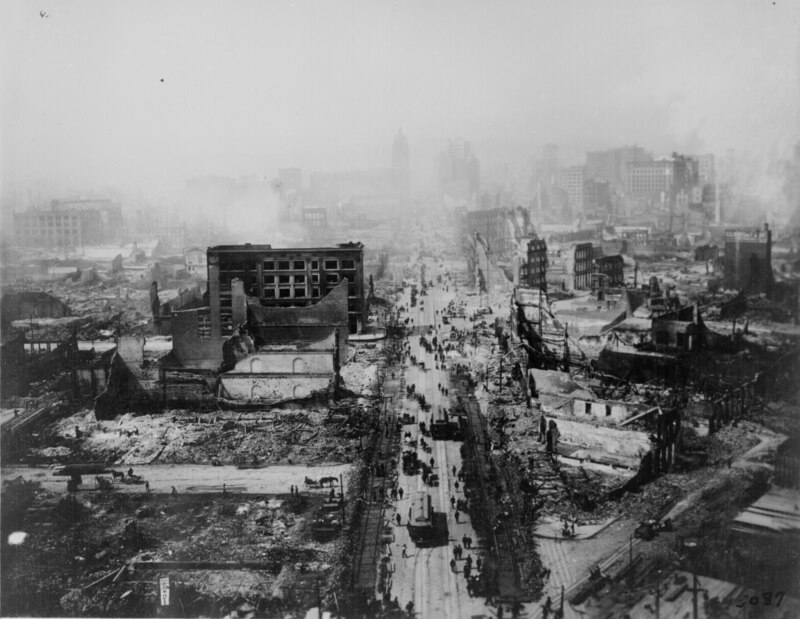 Sometimes the fires are urban, as in the state’s most famous fire of all, during the great San Francisco earthquake of 1906, when the flames from exploding gas mains destroyed more buildings than the trembling of the ground itself. Usually, though, the great fires are rural. If you live near any forest, you always look out of the corner of your eye, wondering if the haunting, powerful character who waits in the wings will be coming onstage.